One of the most iconic figure of the 20th century and Mozambique's first black democratic president CDE Sambora Machel once said "Tribalism is like cancer to the society". In many African countries tribalism is the major problem affecting development and co existence among many indigenous African societies.It is sad that most African countries fought white minority rule that was championing racism and apartheid only to replace it with tribalism among blacks. Africa is the poorest continent on earth because of tribalism. African leaders are at the forefront in terms of tribalism.In the 1960 when African nationalist were starting to mobilised the masses to fight white rule tribalism started. In countries like Zimbabwe Joshua Nkomo a Kalanga/Ndebele formed ZAPU alongside some other nationalist like Chikerema and Mugabe but later on Mugabe abandoned him to form Zanu-PF in 1963 because they were not comfortable with a Ndebele at the helm of ZAPU.During the struggle for Independence of Zimbabwe there were two liberation movements that is ZANLA mainly Shonas and ZIPRA mainly Ndebeles,Kalangas and moderate Shonas fighting in different fronts against white forces. The cause of this was mainly tribalism again. In 1980 we gained independence from the whites and when people were voting nationalist leaders like Mugabe, Sekeramayi and Mnangagwa ancouraged Zimbabweans to vote along tribal lines knowing very well that Zanu-PF will win because it's support comes from mainly the Shona ethnic group which constitute 80% of the general population of Zimbabwe and because of that cheap propaganda Zanu-PF emerged victorious at the expense of ZAPU.In 1982 Zanu-PF took tribalism to another level by ordering the killing of more than 20 000 civilians of Ndebele and Kalanga origin in the name of Gukurahundi.The man who masterminded Gukurahundi was Security minister ED Mnangagwa alongside Perence Shiri and Mugabe the then commander in chief of the army.Their objective was to wipe out the Ndebele population under the guise of eliminating the so called dissidents.President RG Mugabe was always in Harare getting daily briefings g from the man who was on the ground most of the time and that man was ED Mnangagwa who was commanding the operation with a former ZAPU sellout Enos Nkala.Minister Mnangagwa misled the Zimbabwean government about the problem they were facing in Matebeleland that he himself in a rally at Lupane he labeled the Ndebeles coachroches who needed a pesticide called DDT to wipe them out.Mnangagwa was the overseer in the worst crimes against humanity after Hitler Holocaust. Committing these heinous crimes Mnangagwa was not alone but he was the chief supervisor of the Gukurahundi alongside his accomplices like 5 brigade commander Perence Shiri,Clayton Munemo the 2iC, Enos Nkala and the 1 brigade commander at the time Brigadier Constantine Chiwenga who commands the military in Matebeleland.ED Mnagagwa hatred of the Ndebeles is well documented way back in the 1960 when he was trained by ZIPRA in Egypt only to desert and join his Shona guys at ZANLA. In 2017 ED Mnangagwa was ceremoniously sacked from his government post by his long time mentor RG Mugabe only for ED to resurface with guns to topple his former boss and Co conspirator in the Gukurahundi massacres. Robert Mugabe used to hate Ndebeles but was doing so in a civilised manner unlike ED's cruelty and lack of education in dealing with other tribes. RG Mugabe once said Gukurahundi was moment of madness but the question remained who was mad here. 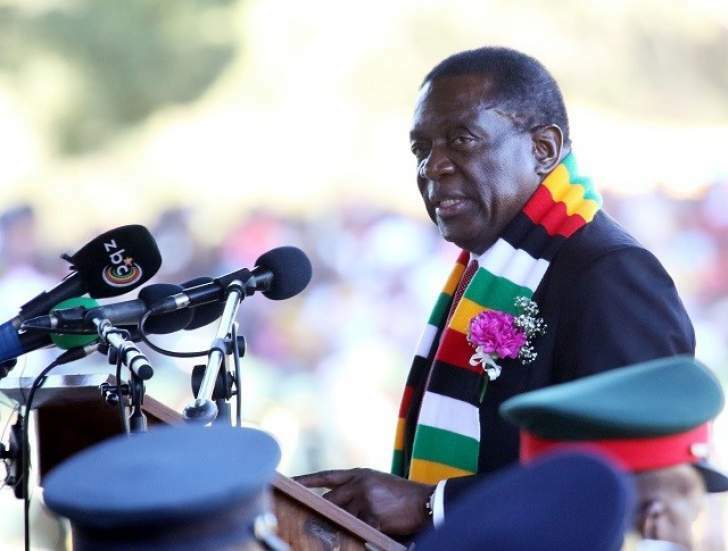 All fingers points to the chief culprit ED Mnangagwa.There were commissions after commissions looking after the Gukurahundi issue and they were all not made public because the culprits were roaming free in the government. RG Mugabe protected Mnangagwa and now ED soon after toppling him he was quickly to say let's let bygones be bygones in reference to Gukurahundi. Aslong as ED is still in power and Zanu-PF no one will ever face justice because of Gukurahundi. Mugabe and ED hate each other but when comes to coming clean on Gukurahundi they quickly bury the hatchet and sing from the same Hym book because they planned and executed this together. Ndebeles now want to exercise their democratic right by establishing a monarch and ED and his government they are denying them that right again in the 21 century. We see the way he is appointing government officials almost all of them are Shona Karanga sidelining other groups like Ndebele and Zezurus. CIO head is his homeboy Isaac Sibanda a Karanga, ZDF commander Philip Sibanda is a Karanga from Gokwe, ZNA head is Chimonyo a Karanga, Airforce head is also a Karanga Elson Moyo. Intelligence minister Muda Ncube from Gokwe Kana is a Karanga again and for the first time there is no Ndebele in the presidium because Mohadi is a Venda who long migrated from Matebeleland to Mashonaland.We are seeing anyone who talk about Gukurahundi getting arrested but this won't end well for him or his children because himself President Mnangagwa is a very divisive leader and the youths are getting fade up especially those from Matebeleland. Pressure groups are getting louder and louder in Matebeleland who are against his ruthless rule.There are now Mthwakazi movements fighting for independence from Zimbabwe and even other Zimbabweans tribes like Zezurus they are being suppressed by his government.